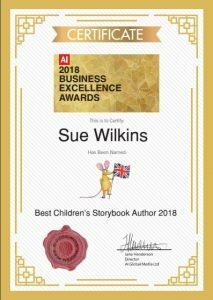 Sue has just received the 2018 Award for Best Children’s Storybook Author of the Year from the publisher, Acquisition International, the UK arm of Global Media Ltd. The organisation contacted her a while ago to say that someone had nominated her for one of their business excellence awards. At that time, they simply wanted to know a few details about Sue’s business. She completed a very simple questionnaire and agreed to allow researchers to look through her website. This is what Global Media says about the awards on its website. “In these times of financial and economic upheaval, the business environment can be more uncertain than ever. From global issues of an increasingly erratic climate, to political instability and data security questions, enterprises are facing challenges, new and old. With our programme, we endeavour to provide you with the opportunity to be recognised for your perseverance and determination in these difficult times! 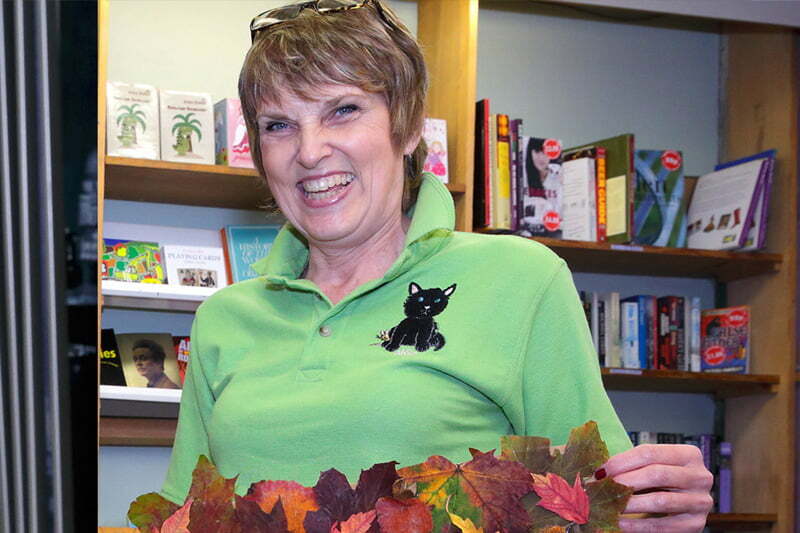 Sue wrote her first book, “Alfie’s Story” in 2011 and self-published in 2014. 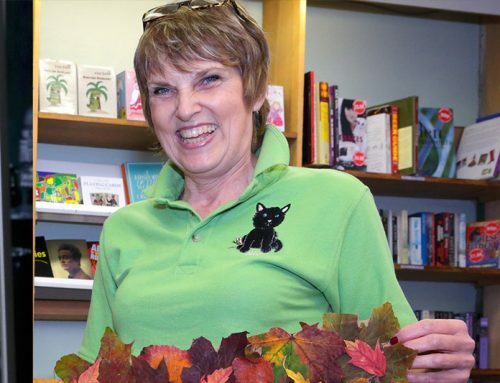 She has published three more books since, one in each of the succeeding years. All the marketing and promotion of her books has been down to her. At the time of the award’s announcement, she had topped sales of 6800 books. This conviction has certainly worked for her!